Brady Weller, the girls' court-appointed guardian, begins looking for Wade, and he quickly turns up unsettling information linking Wade to a recent armored car heist, one with a whopping $14.5 million missing. But Brady Weller isn't the only one hunting the desperate father. Robert Pruitt, a shady and mercurial man nursing a years-old vendetta, is also determined to find Wade and claim his due. 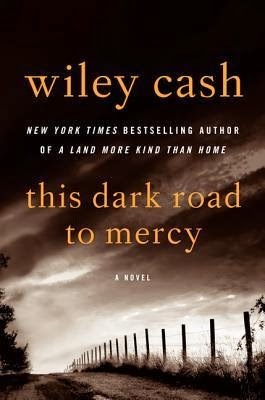 My thoughts: Having enjoyed A Land More Kind than Home, I excitedly dove into Wiley Cash’s second novel. I am a big fan of Cash’s writing style and how he weaves together his love for his home state into the prose. This Dark Road to Mercy is told through alternating narrators about the two sisters and their relationship (or lack thereof) with their father, the man who seeks to bring them home, and a man harboring a long time vendetta seeking to get even with the girl’s father. Easter and Ruby are little girls longing for family. Wade is desperately trying to rectify past bad decisions (while continuing to make bad decisions). Despite his past transgressions, I couldn't help but feel like rooting for him. Brady, a man who is troubled over his past relationship with his daughter, attempts to make things right by tracking down Wade, Easter and Ruby. The story wonderfully demonstrates the need we all have at one time or another for grace, mercy, and forgiveness (from both others and ourselves) when attempting to right old wrongs and doing what we feel is the right thing. This book definitely tugged at my heart strings. I found myself hoping most of the main characters found mercy to forgive themselves. If you loved Cash’s first novel, you will likely enjoy this fantastic second novel. I was immediately drawn into this book and devoured the novel in just a few hours. I will absolutely be recommending this book to friends in the future and awaiting other works from Wiley Cash. In another fun note about author, I noticed he was listed as living in West Virginia, so I turned to Google and discovered he had in the past been a professor at a local university. It’s always fun to discover some random local ties to an author. As with previous reviews, I was provided a copy of this novel from TLCtours and the publisher in exchange for an honest review. All thoughts and opinions are my own.